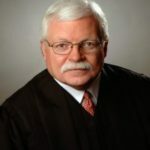 On January 29, 2004, B. Michael Chitty was appointed by Governor Rick Perry to serve as the first Judge of the newly created 422nd Judicial District Court of Kaufman County, Texas. He was elected to a four-year term in November of 2004, and re-elected in 2008, 2012, and 2016. He presently serves as the Local Administrative Judge for Kaufman County.Prior to his serving as Judge of the 422nd District Court, Judge Chitty was engaged in the general practice of law from 1973 to 2004, representing both plaintiffs and defendants in a broad variety of cases, including probate, real estate, deceptive trade practices, torts, criminal, commercial, construction, family, municipal, water, securities, employment, tax, and bankruptcy. He is a member of the State Bar of Texas and licensed to practice in all state courts, as well as the U.S. Court of Appeals for the Fifth Circuit, and the U.S. District Courts for the Northern and Eastern Districts of Texas. Judge Chitty has previously served as Special Counsel to the State Republican Party and President of the Kaufman County Bar Association. He is a Life Fellow of The Texas Bar Foundation, a member of the College of the State Bar of Texas, and has received a Presidential Commendation from the State Bar. In May, 2008, Judge Chitty was the keynote speaker at the 22nd Annual Texas Jail Association Conference, addressing the topic of mental illness and criminal justice. He is a 2010 graduate of the Texas College for Judicial Studies. Judge Chitty is the Kaufman County representative on the Board of Directors of the North Texas Behavioral Health Authority, the local mental health authority for Dallas, Ellis, Hunt, Kaufman, Navarro, and Rockwall Counties; and has served four terms as Chairman of the Board, and is presently serving as Vice-Chairman. He is also a member of the Terrell State Hospital Board. A life-long resident of Kaufman County, Judge Chitty was born and reared in Terrell and graduated from Terrell High School, where he was student body president and salutatorian. He graduated from Southern Methodist University receiving his BBA, with high honors, and Juris Doctor degrees. While at SMU, Chitty was a Student Senator, Chairman of All-Men’s Judiciary, a member of the Blue Key national honor fraternity, a Hatton W. Sumners Scholar, and a member of the SMU Law School Admissions Committee. Judge Chitty is a member of Good Shepherd Episcopal Church in Terrell where he has served as a lay reader, Vestry member, Good Shepherd Foundation Chairman, Senior Warden, and Good Shepherd School Board member and chairman. He is a member of the Rotary Club of Terrell having served as President and Director, and is a Paul Harris Fellow. He is also a member of the Kaufman Lions Club. Chitty has served as a member of the Charter Revision Committee for the City of Terrell and as Chairman of the Downtown Advisory Board. Other community involvement includes service as the President of the Terrell Alliance for Education and the Arts, Chairman and board member of the Terrell Public Library, a former member of the Kaufman County Historical Commission, former President of the youth baseball program in Terrell, former member of the State Board of Directors of the American Cancer Society, former member of the Ethics Committee at Terrell State Hospital, and member of the Clinical Advisory Board of Mental Health America of Greater Dallas. In 2011, Judge Chitty was the recipient of the Carmen Miller Michael Mental Health Advocate Prism Award. During his service on the 422nd District Court bench, Judge Chitty has presided over more than 15,000 family, civil and criminal court proceedings. At his request, the 422nd District Court was established as a mental health and drug diversion court in 2010, and Judge Chitty has implemented, supervised, and conducted programs related thereto since its inception. He serves as a director of the Texas Association of Specialty Courts. He is committed to the fair, efficient, and timely disposition of cases, consistent with justice, while affording all citizens the courtesy and dignity they deserve in our courts. Judge Chitty is married to Elise, his wife of 40 years, and they have three grown children, Lauren, Katie and Michael.